Tumi has come up with a suitcase that knows its place. The collapsible bulletproof bag shrinks to 51/2 inches deep, fitting into the tightest spots- even under most beds. And a space suit- like storage case protects against fading and dust bunnies. Available in wild cherry, black, or moss green. 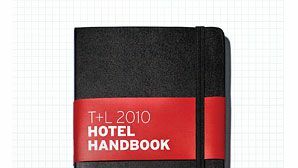 $450; 800/322-8864 or www.tumi.com.